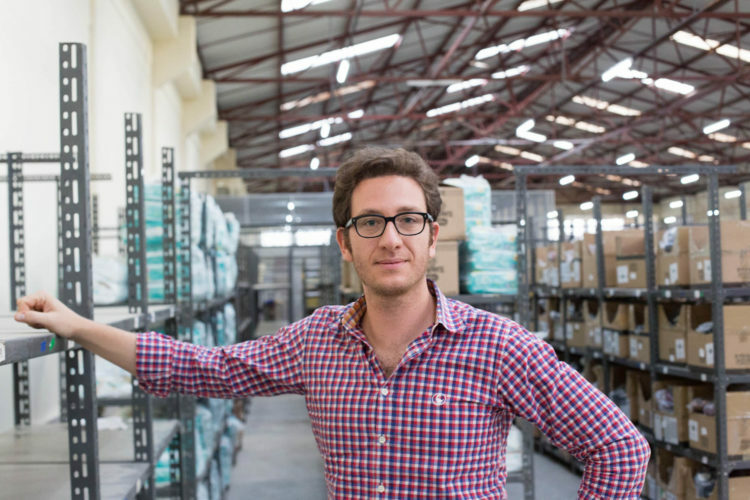 Pan-African e-commerce company Jumia is on a roll. Last year, the firm became Africa’s first ‘unicorn’ on the back of major funding rounds from the likes of AXA, Goldman Sachs, MTN, Orange and Rocket Internet. Jumia also reported revenues growth of 282 per cent for 2015. It has a presence in 23 African countries, offering a one-stop shop for all needs: ordering food, booking a hotel, grocery shopping. It had three million clients last year, with 50 million visits on Black Friday alone. Jeremy Hodara has been heading up Jumia, formerly Africa Internet Group, since its formation in Lagos in 2012. 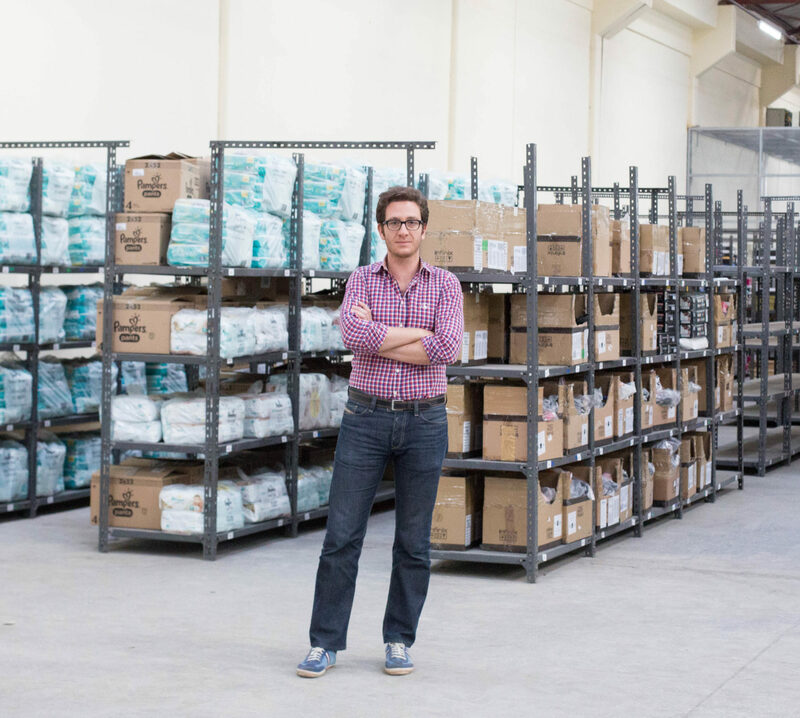 Here, the former McKinsey consultant discusses with TRUE Africa the innovation at the heart of Jumia and its drive to become ‘Africa’s Amazon’. It was formed out of a mission to leapfrog retail development in Africa and use the growing internet penetration rate to do so. We are solving retail issues in Africa dominated by informal retail by directly offering quality and trustworthy products and services through the internet. The aim is the transformation of the overall African retail landscape by offering online services but also by accompanying 500,000 local sellers to move their businesses online. Those local sellers have put their businesses online with us after receiving training and have been able to greatly increase their sales. How is it uniquely African? Through our teams of 3,000 employees, 98 per cent of which are Africans from the various countries we operate in, who have very strong expertise on African markets. We are a unique model of e-commerce never seen before in Europe or the US, solving the specific problems of Africa. We partner with 500,000 local sellers across Africa for all our services. We work with local sellers who sell on Jumia and Jumia Market for electronics, fashion, and groceries. We also work with local hotels, restaurants, and real estate agencies. Our offers on the website echo the needs and trends of the countries we are in. We are a unique model of e-commerce never seen before in Europe or the US, solving the specific problems of Africa. We have implemented new ways of ordering, of paying, and of delivering. Last year was a great year of fundraising for Jumia. Why are you so well backed? E-commerce in Africa is extremely attractive for investors for three reasons. Traditional retail has been leapfrogged by e-commerce. The lack of modern retail infrastructures has left a gigantic void for e-commerce to fill. The online offering has much more opportunity and leverage in Africa where the offline demand is so scattered and low. There is also a favourable demographic context. The population in Africa is 1.2 billion, and is expected to reach 2.5 billion by 2050. There is a growing middle class with higher purchasing power available for shopping. The internet penetration is close to 30 per cent across Africa, that figure reaching 51 per cent in Africa’s first economy, Nigeria. Smartphone adoption is also very strong with 155 million units shipped to Africa at the end of 2015. We are the uncontested leader of e-commerce in Africa, the only actor present in 23 countries across Africa. If we look more at our company and try to understand why Jumia has benefited from such formidable backing by its historic and new investors, we can discern four key factors. First, we are the uncontested leader of e-commerce in Africa, the only actor present in 23 countries across Africa. Second, we have managed to transform many challenges of doing e-commerce in Africa into tremendous opportunities: logistics, payments, adapting to mobile-first or mobile-only countries and building trust. Third, we have proven that we are capable of federating our clients and expanding our reach through events such as Black Friday that attracted 50 million visits in November 2016. And last but not least, we have managed to attract and nurture a unique set of talents across all our African offices. We are particularly proud of having been able to train hundreds of our team members on digital skills that will be crucial in the years to come to develop Africa’s digital economy. Can you give us any numbers? When is it likely to become profitable? Our long-term strategy is based on growth with clear objectives of grasping even more market shares in the 23 countries where we presently operate and to optimise our client’s experience of our nine lines of services. Following in the footsteps of role models such as Amazon, we wish to base our strategy on growth aiming at providing a best in class customer experience. Profit will logically flow from it. How innovative does the company need to be? Very! Even more so than anywhere else. There are very rapid technological evolutions that we need to keep up with. An example is progressive web apps. A new set of development methodologies that aim at bridging the gap between conventional web pages and native mobile applications. The result is a lightweight, faster web application that improve drastically user’s experience on mobile. For instance, not only will the customers get a faster loading e-shop, but they will also be able to get push notifications from it and even be able to browse the shop while offline. We were one of the first in Africa and worldwide to launch progressive web apps features on our responsive e-shops. There is no competition on an African level as we are the only ones with such a strong presence across that many African countries. We have competition locally in Nigeria and Egypt mainly but competition is very healthy and we are working very hard, making sure we are far ahead when the next big player comes along. Is Africa ready for an ‘Amazon’? Most definitely! There will be 540 million smartphones in Africa by 2020, 500 million African internet users, and eight per cent of African GDP will be generated by mobile commerce and services. One out of 25 Africans had already visited Jumia by the end of 2015. There has also been a strong logistics improvement, with more companies offering logistics services at cheaper prices, overcoming the mapping shortcomings with in-house geolocalisation applications.